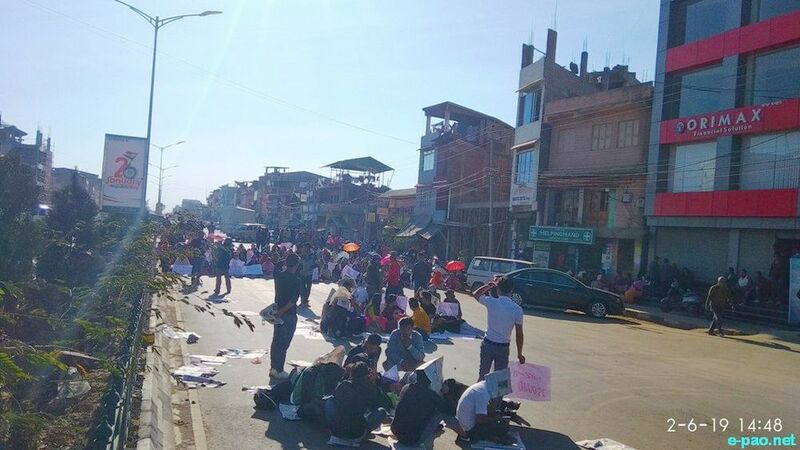 Protest and Blockades against Citizenship Amendment Bill 2016 - On Tiddim Road - Kwakeithel to Keishampat stretch in Imphal, Manipur on 06th February 2019 . All the vehicles were diverted to the adjoining Leiraks. Slogan shouting Ema Ebens on small trucks with loud speakers going up and down the Tiddim Road and in the nearby Leiraks Khulaks.